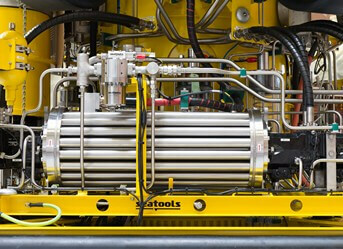 For the protection of subsea assets in iceberg-rich environments, protection from iceberg scouring is a prerequisite. 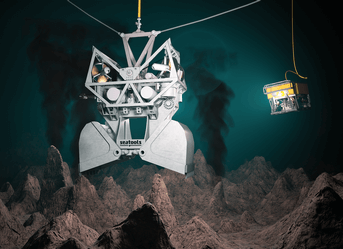 Assets are protected when they are lowered into the seabed at a depth of at least 9 meters into so-called glory holes. 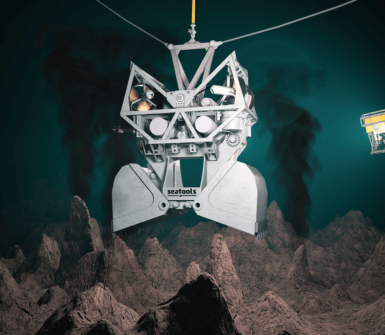 For the Whiterose project, glory holes needed to be created at a depth of 150 meters. 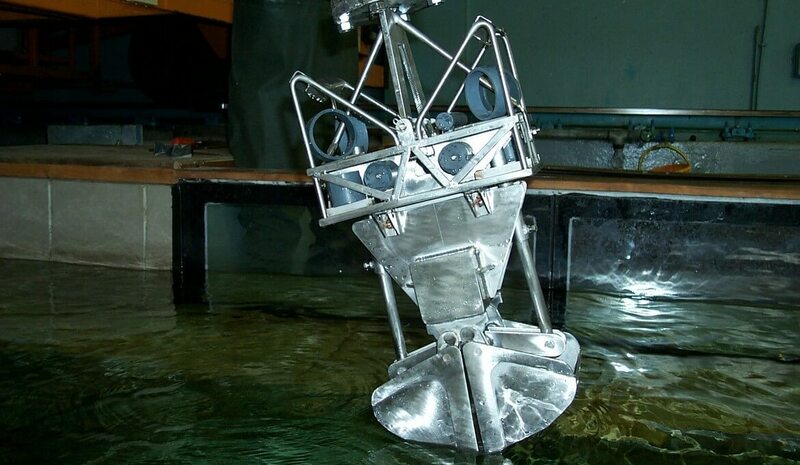 At this depth, the use of traditional excavation methods such as a suction hopper dredger, is very difficult. This is especially so because of boulders that span up to several meters in size, changing soil conditions, soils that consist of stiff clay, up to 750 kPa, and hard pan layers. 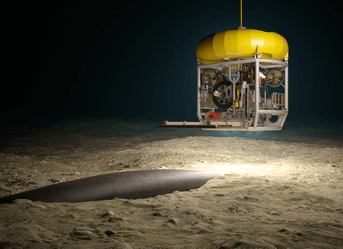 As a consequence, a new deep-sea excavation method was required to excavate through various soil conditions at these depths. The solution used for the project at hand was the grab excavation system (GES). 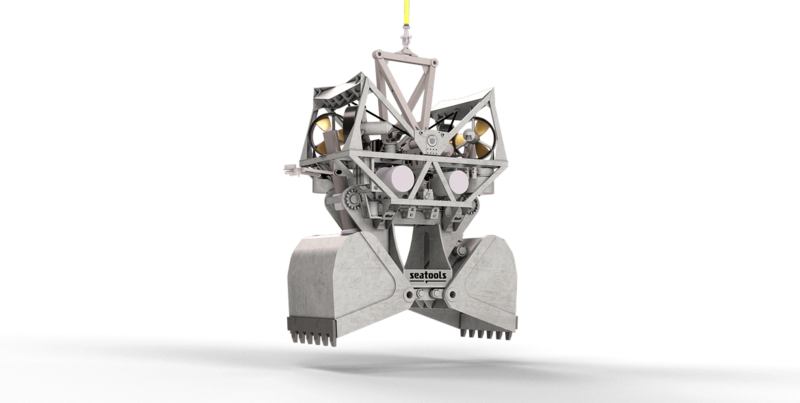 Seatools designed and built the grab-positioning ROV and its control system, including full 3D motion compensation. 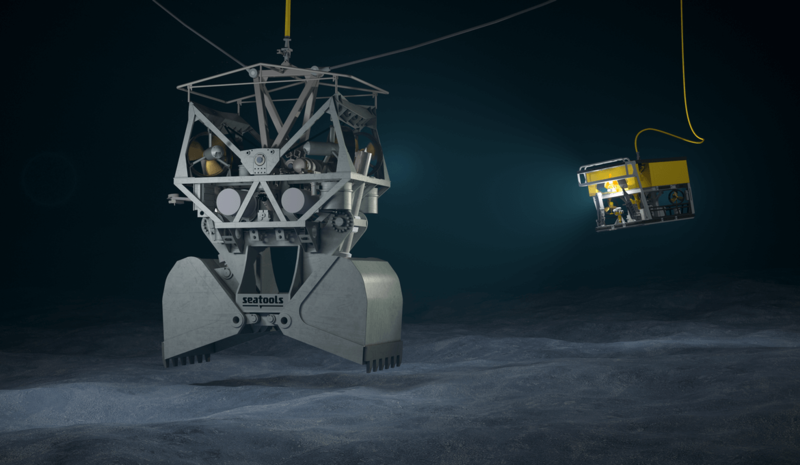 The system has been designed for water depths of up to 1000 meters, but the technology can easily be extended for use in much deeper waters. 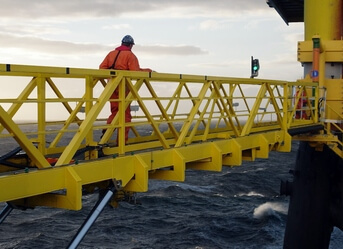 The GES enabled Boskalis and Tideway to excavate at a water depth of 150 meters with production rates of 150 m3/hour in 750 kPa stiff clay at an accuracy level of 20 centimeters. How can we empower you? 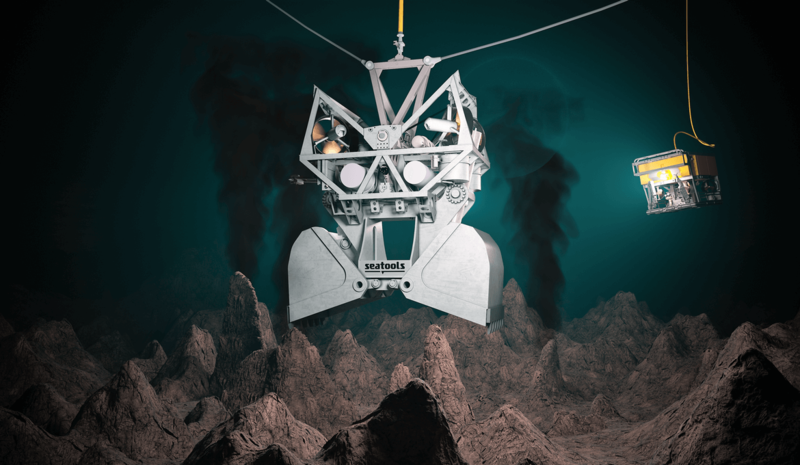 This technology is suitable not only for deep-water dredging, but also for deep-sea mining and salvage applications. Although initially the system was designed for very hard soil conditions, boulders, and hard pan layers, it is also capable of dredging sands, soft soils, and clays. 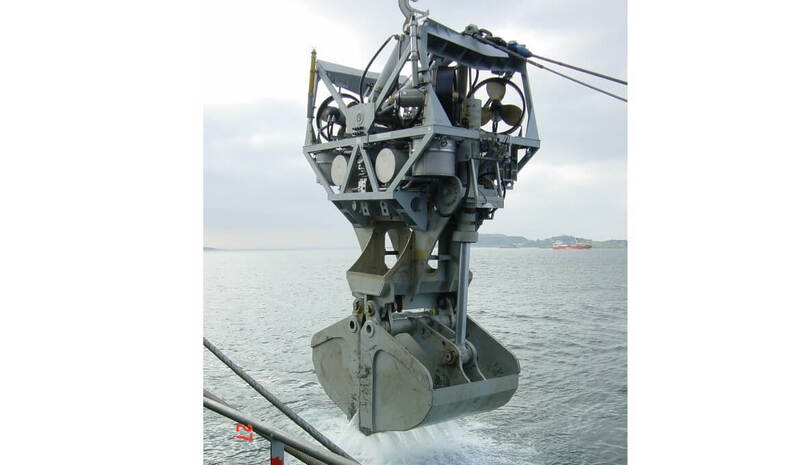 Furthermore, with the appropriate clamshells, the system can be adapted to subsea mining or salvage tasks. Because the excavation process is automated to a large extent, the system yields high levels of accuracy. 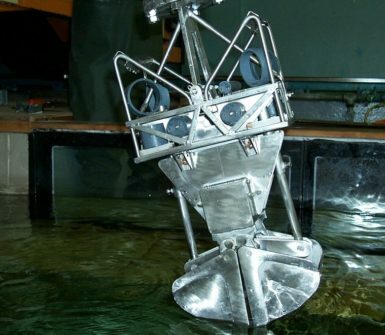 Accuracy does not depend on operator capabilities, since the operator only selects the target position for the next bite. The control system automatically places the grab at the desired coordinates. 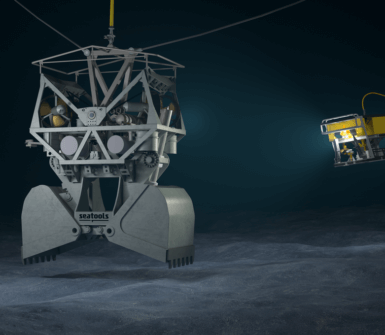 The deep water excavation grab was deployed from the Seahorse fall pipe vessel. 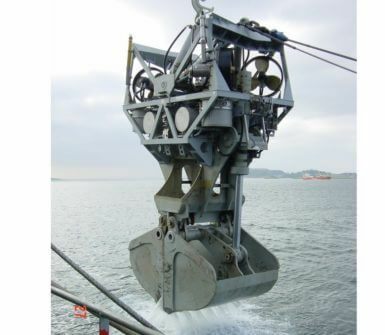 When dredging starts, the grab is lowered to the seabed from the aft hang-off point. 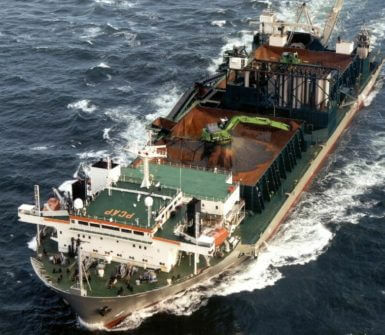 The winches are heave compensated, so that the movements of the vessel do not affect the vertical position of the grab. 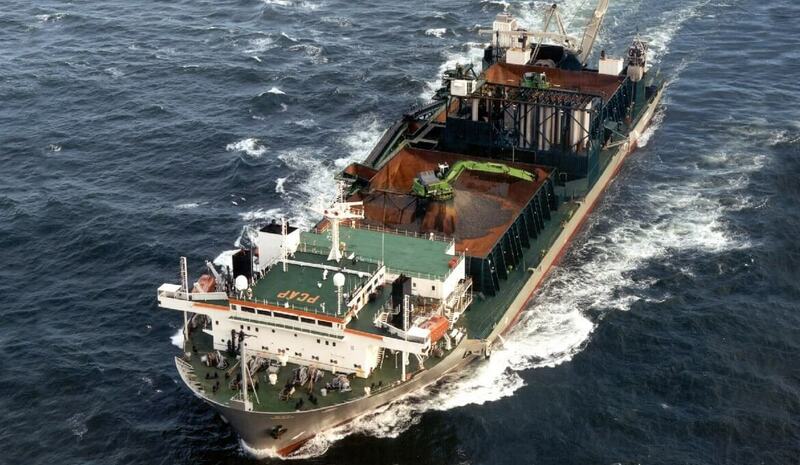 Lowering a 70 tonnes grab to the seabed is one thing, preventing it from falling over is another. Extensive experimentation with scale models and the development of advanced controls including tumble prevention algorithms help the operator to operate the system in a safe manner. 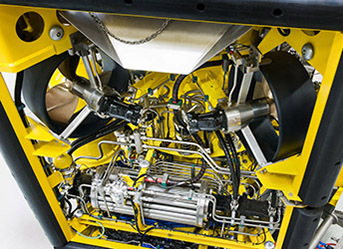 Due to hyperbaric effects, cutter-based excavation of rock materials at large water depths requires extensive amounts of capital-intensive subsea-installed power, resulting in high energy consumption. Our techno-economic studies have shown that grab-based mining creates significant economic benefits, thanks to a low ratio of cutting energy over excavated rock volume.